i love re-crafting with sweaters. pretty much whenever there's a project, my first thought is: sweater! maybe not always wisely (case in point: knitting needle holder). but lately i've been finding sweaters that are really nice. this one i just started wearing out of necessity, and then couldn't give it up. it's a zip-up with a hood, and of course 100% wool (i avoid the blends). 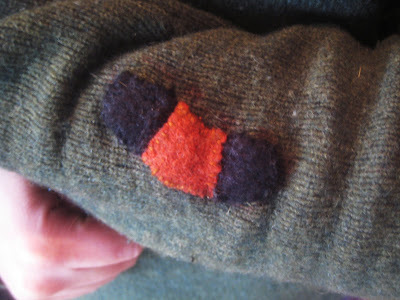 plus, a grand opportunity... on the inner arm; two small holes awaiting repair. i sewed around them with needle and thread - and then designed this woolly bear caterpillar (aka isabella moth)! i've been wearing these next sweater sleeves with absolutely no finishing, though holes abound. 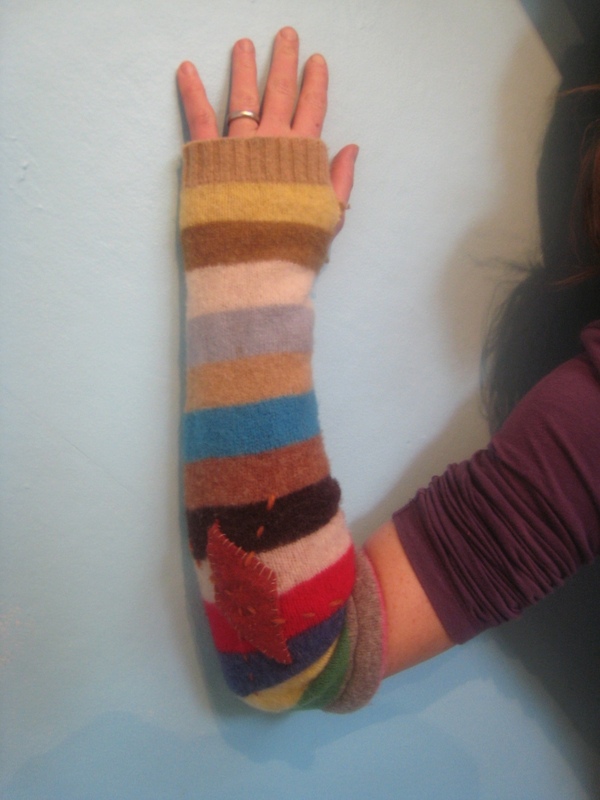 in fact, they first became impromptu arm warmers because they already sported thumb-holes on each sleeve! finally, i finished the cut end and zig-zag stitched around those thumb-holes to finish them (plus sewed around some other tiny holes too). then i patched on this argyle diamond and sewed a strand of yarn across to complete the pattern! i am in love! more argyle patches to come? oh yes. so as far as the shop update goes... oh boy. 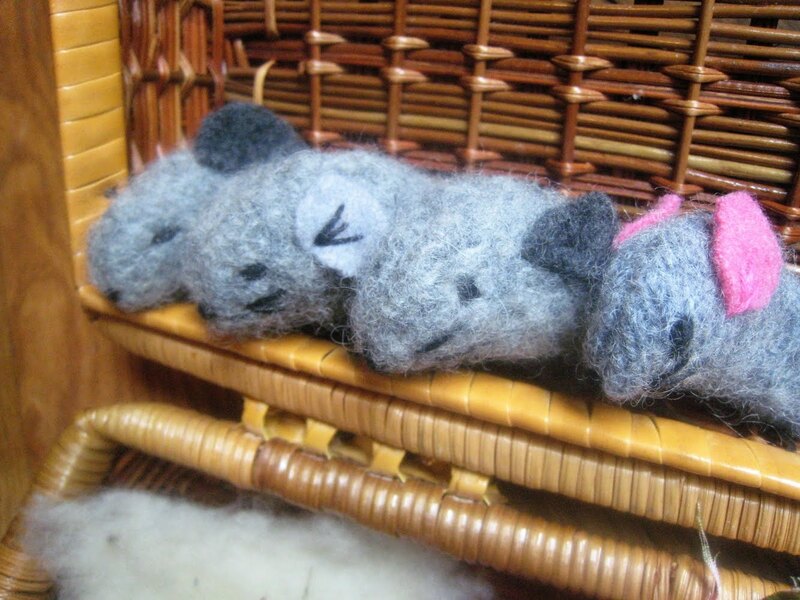 i was ready to go with these sweet mousies, but i received a couple signs that another rendition is needed (their ears need to be more secure - machine-stitched, i think). i'm open to suggestion - or if you're interested in testing one out, i'd be happy to send one your way too! i should mention they are stuffed with wool scrap, organic brown rice, and organic lavender. mmmmm!